What Is A Tic Tac Toe Choice Board? Basically a Tic Tac Toe Choice Board is a variation of centres and it is a great way to differentiate learning. You can use it in pretty much any subject. Choice Boards Tic-Tac-Toe Menu Boards outlines what they are in more detail and gives some examples. 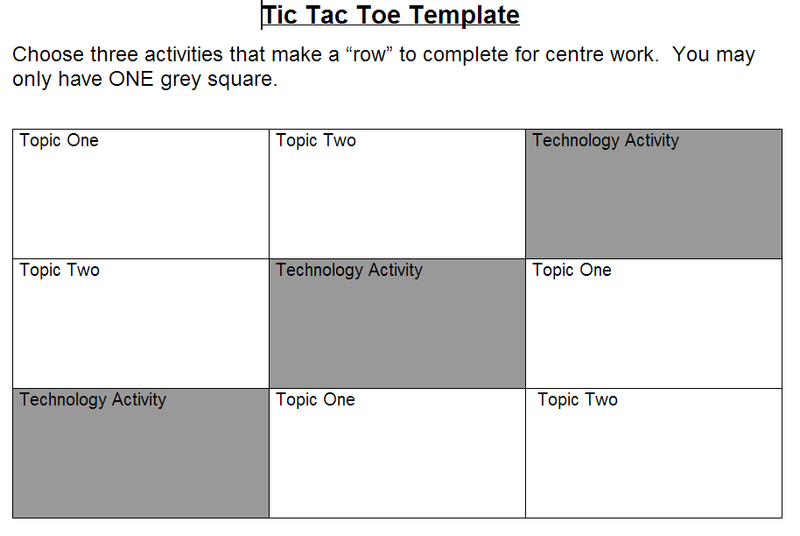 I have created my own template to use for my Tic-Tac-Toe activities. I usually have three things I want students to do so I strategically place each option. I try to have accountability built into each activity. Sometimes that is as simple as having a peer check their work and other times it requires them recording a simple answer. I like to add technology as three choices. I instruct students verbally and on the template that they can only have one technology activity in their "line". I usually have a Smartboard centre (the rule is only two people at this one at a time and no line ups), a netbook/laptop centre (no line ups) a listening centre or video centre. 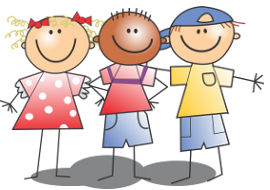 If students finish their initial three activities before Tic Tac Toe time is over, they can choose additional activities from any square. I used a laptop and connected it to a device that came with my listening centre. Then I set up three headphones. I used a video segment from Discovery Education. * I monitored when the video was over and told the class when the centre was available again for those who had it selected as a choice. had done a Tic Tac Toe before, I quickly reviewed how they work. Then I gave them about 45 minutes of centre time. During this time I checked in with student I knew needed guided review of certain topics. I kept track of on task behaviour as well and intervened if necessary. However, because students were so engaged and in charge of the speed at which they work, this was only necessary once. Most students completed their "line" and went on two 1 - 2 other activities. At the end of the activity, I review what was achieved for each square. For example, for the video, I had students who watched it reveal to the rest of the class that feet can be used as non-standard units. For the Smartboard centre and two pan balance centre we review what were the heaviest and lightest objects. 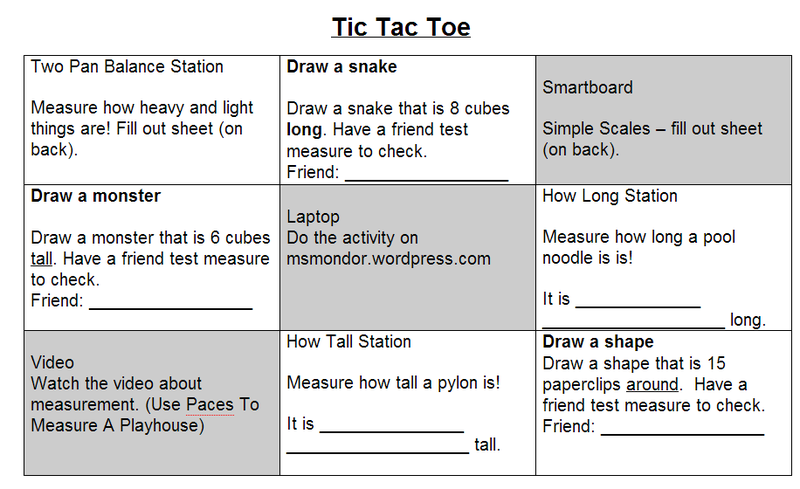 Using a TIC TAC TOE is a great way to give students choice and create engagement. However they can be time consuming to set up. I also would not recommend them to teach a concept but rather for students to practice, extend or refine their understanding of concepts. More non-standard units online activities can be found in my post Non-Standard Measurement Activities.